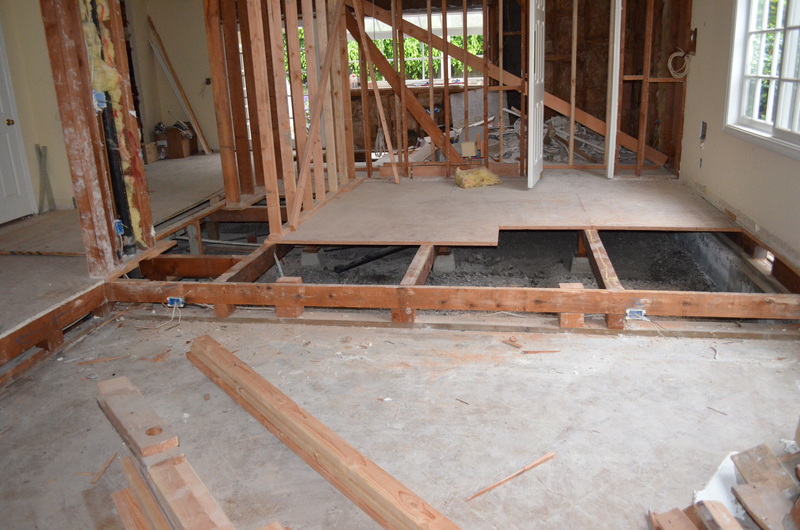 Remember my big project in Irvine, the house I pretty much tore down to the studs? Wondering why you haven’t heard about it for a while? Permits. The city and I were doing the Cha Cha for the better part of the last three weeks while I secured the necessary permits for the remodel. ensure that what’s being built complies with national, regional and local building codes. Not all remodeling projects require permits, but for those that do, there’s no getting around them, nor would you want to. Construction done without permits where required can result in significant fines and penalties. The city might even come in and demo the unauthorized construction – something neither a homeowner nor a contractor ever want to see. But more important, permits ensure that what your contractor is building is safe. It’s kind of like a checks and balance system, only it works a lot better than Washington does, but we’re still hopeful about that one. 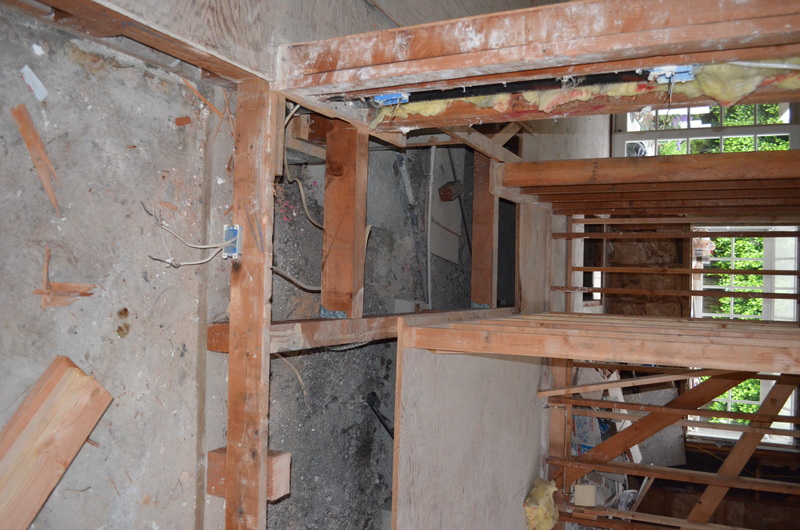 In Irvine, we needed an electrical permit and a full building permit for the construction. We had planned on leaving the electricity as is, in which case we would not have needed the permit. 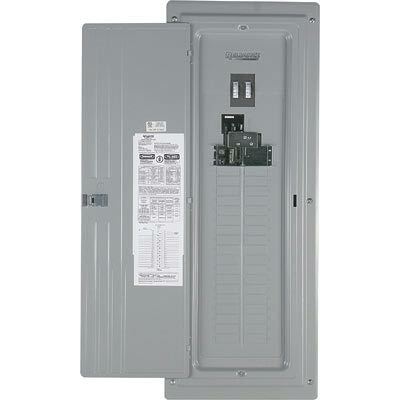 But as the scale of the project grew and we decided to put in more lights throughout the house, we upgraded to a 200 Amp panel, and that’s what the permit allowed. What will that mean for the clients? Well, suppose they’re having a party one night. They’ve got lights on in the backyard and throughout the house. DJ’s pumping some tunes, or maybe there’s a band. Hors d’oeuvres are warming in the oven, air conditioner’s on, dishwasher’s going, you get the picture. One of the guests decides to turn on the bubbles in the Jaccuzzi and BAM! Circuit overload and bye bye electricity. And that’s when the real fun starts: people start falling over each other in the dark, drinks are spilling, food’s flying, glasses breaking – pretty ugly. That won’t happen with a 200 Amper. This guy is Superman; really powerful. The breakers won’t jump, lights and music will stay on and the party will continue well into the night. the framing. Framing is basically where we build support walls out of wood which will allow us to knock down other walls to create an open floor plan. 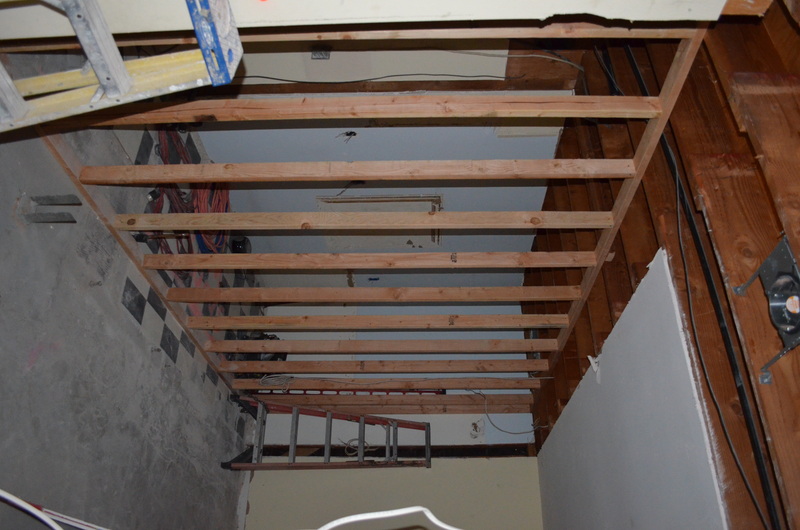 You can see what I mean with these photos of the framing in the dining room. In the original home, a wall separated the kitchen and dining room (where the oven is), and you had to step down to the sunken living room. entertains BIG). Plus, the higher ceiling will make the house feel much more spacious. I know, it doesn’t look like much, but really friends, this is progress. 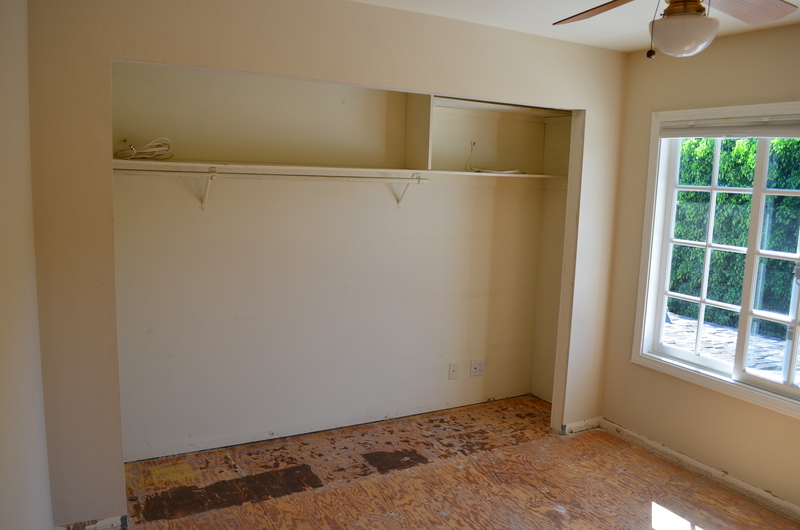 Here in the family room, you can see another example of framing. 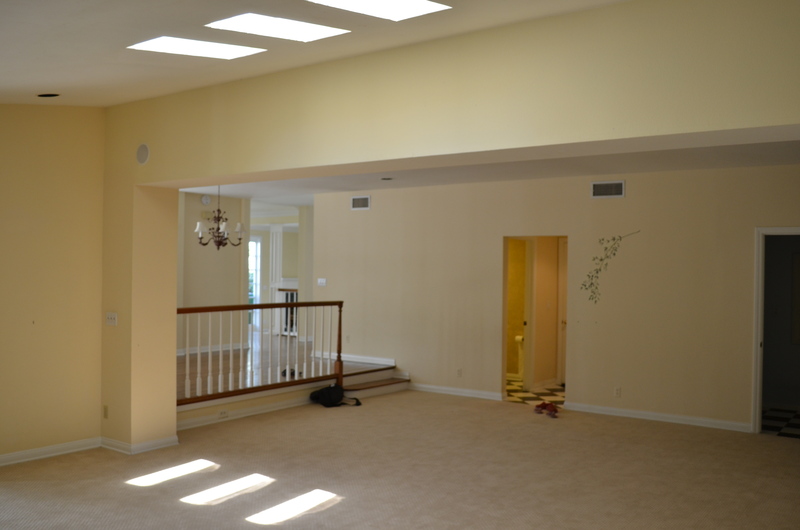 This family room was huge. Remember this? to make a nice office that can also be used as a guest room. The wall will go up soon, but here’s the wood frame. So that’s where we are. Lots of dust, dirt and wood, but believe me, it will be worth it. suite and fourth bedroom, as well as for the kitchen, and we’ll finalize the placement of the light fixtures and exhaust fans. If you’re a Bob the Builder type, you’ll find this stuff fascinating. If not, stay tuned anyway because soon we’ll get to the interior design part – colors, tiles, flooring, etc. The client has some ideas but will be looking for some input from YOU, so be sure to keep reading and don’t forget to share my blog with your friends. counties? Contact Doron at 949-279-2011 or doron@edenflooring.com for a free estimate or design consultation. Did you know that as of July 1, all single family homes and dwelling units (e.g. But why wouldn’t you put one in anyway? Carbon Monoxide, or CO, is called the “silent killer” and for good reason. It’s a colorless, odorless, tasteless gas that can make you sick or kill you if you get exposed to high levels. CO is produced wherever fuel is burned, like stoves and heaters. Dangerous CO levels occur when fuel-burning appliances aren’t working properly. CO poisoning kills hundreds of people in the U.S. each year and sends more than 20,000 people to emergency rooms. CO detectors look and operate pretty much like smoke alarms. If the amount of CO in your home reaches a dangerous level, an alarm is sounded so you can get to safety. If you rent your home or apartment, tell your landlord he or she needs to put one in for you. If you own, you can pick one up at your local hardware store. They’re pretty inexpensive, which is good because you might need more than one depending on your home’s size and layout. You can mount them yourself, but be sure to follow manufacturer’s instructions for proper placement and installation. And now a word or two about the Irvine project. Demo is underway. 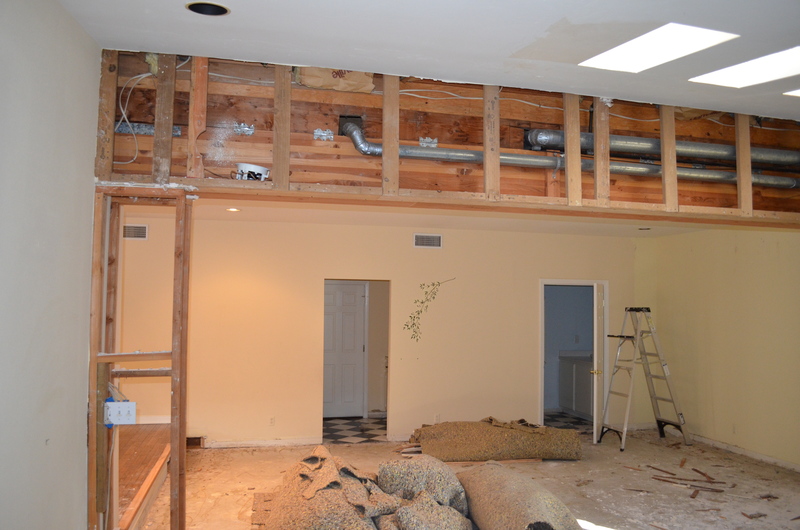 We’re moving ahead with the extra room off the family room so we knocked out the laundry room wall. 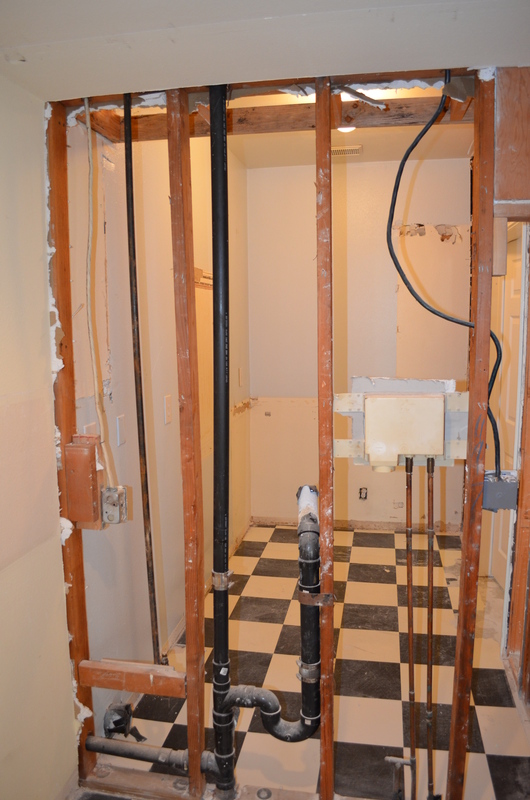 No floors, beaten up walls – looks kinda like a war zone, but hey, that’s demo. We won’t be able to lower the floors on the main level after all. It’s just as I suspected – not enough crawl space. 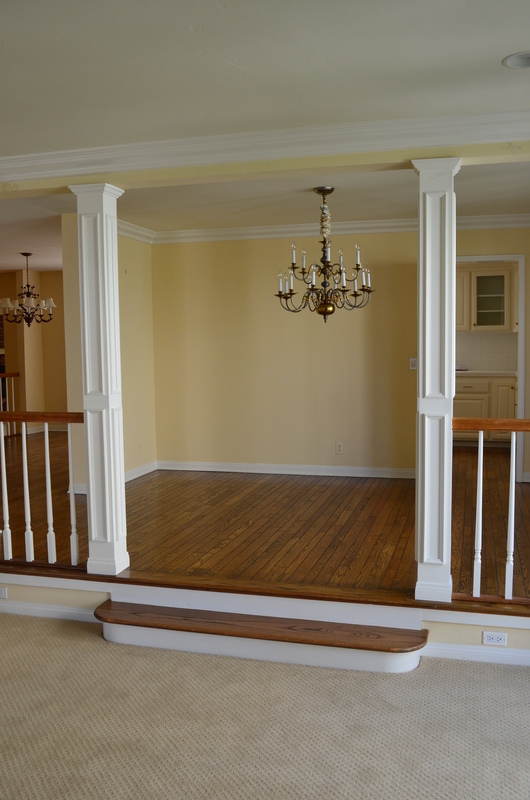 Now the dilemma is whether to raise the living room floor and have a low ceiling, or just leave the levels. Thoughts, anyone? Eden Flooring and Construction, Inc. 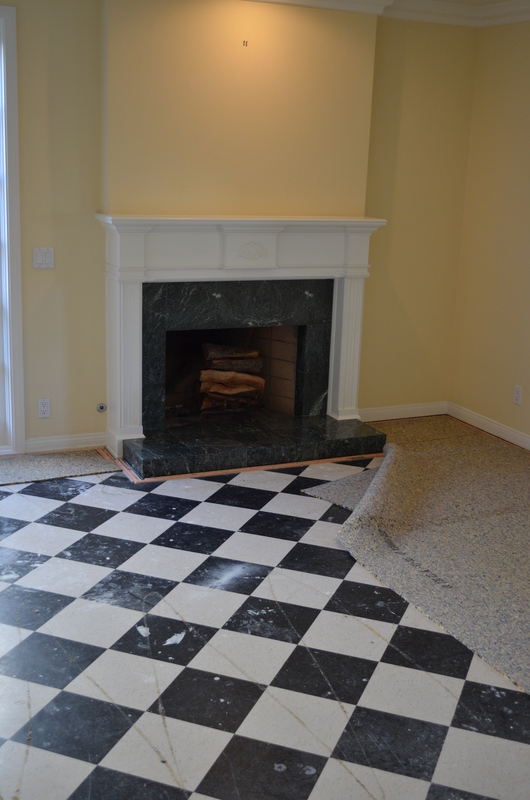 Practically Renovating is the blog for Eden Flooring and Construction, Inc. Based in Orange County, CA, Eden Flooring and Construction is more than a full service home renovation firm. With more than 15 years in home design and construction, we specialize in practical renovations that give you the beauty, convenience and amenities you want while maximizing your home's value. We believe in building longstanding relations with all of our clients and are happy to guide our clients from beginning to end of their projects and beyond. Call Doron at 949-228-5218 today for your free, in-home consultation.